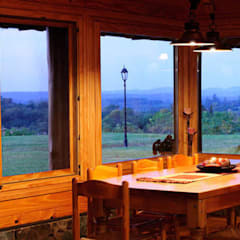 What makes the perfect country style dining room? From flaunting a landscape inspired decor to installation of French country furniture, from displaying layered look to balancing bold with minimal, there are plenty of design ideas available to create a perfect country style dining room. 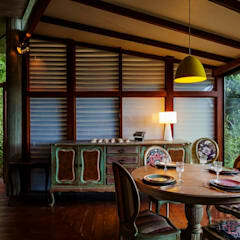 The dining room is the place where you socialize and enjoy your favorite delicacies. A well-designed country style dining space not only exudes sophistication but it also speaks a lot about the taste of the homeowner. 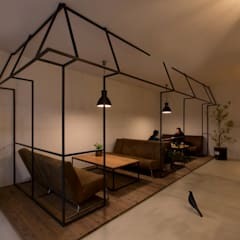 Some of the most interesting features like creating a contrasting sitting area, usage of steel bistro chairs, shades of brown etc. can easily provide a grand appearance to your dining area. 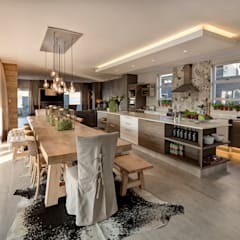 In order to create an inviting place for family and friends, you should do a bit of research before taking up various design options for renovating this space. You should take up style that complements other rooms of your house. The theme of your dining area should not be different from other rooms as it will look very odd. Maintaining the consistency is extremely important for creating a delightful area. 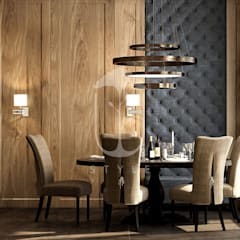 A perfect dining room exudes elegance hence you should choose all the elements of this place wisely. Hiring a professional is a good idea for transforming this room into a visually appealing corner of your home. 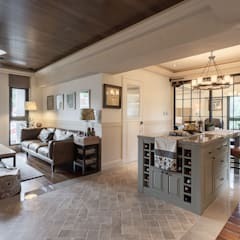 An expert who specializes in country style dining room décor understands the products well; however, you should do your research for giving him the perfect brief. An expert can easily work on your brief and put his expertise to create a stunning spot for your residence. Where can I find country style dining room design ideas and inspiration? 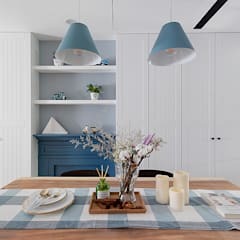 You can find plenty of design ideas for creating a country style dining area by browsing various interior design blogs and websites however it's always advisable to pick up styles which are suitable for maintaining the overall decor of the house. You can take inspiration from hotels and resorts to get a fair idea about the country style look. Visiting a friend's place for taking ideas and inspiration is also not a bad idea. You can discuss your ideas with someone you know for taking the right kind of inputs. Homify is considered to be the best place for finding various design options for a country style dining space. You can easily shortlist designs and save it for future reference. 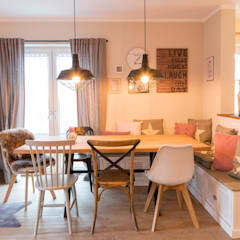 There are hundreds of chic designs available on this site that could easily help your research for building a perfect country style dining area. How do I design my dining room in a country style? 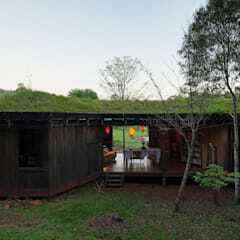 It's always advisable to tell the architect about your design choices if you are building your house from scratch. 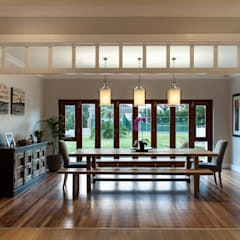 You should always know your requirements before you design a gorgoeous dining room. Understanding the area and your budget is important for incorporating various ideas. Research plays a major role in creating a good design brief for the interior designer if you are renovating your existing room. A good design blueprint is the key to a gorgeous looking space. The dining room is the place to socialize; a well-designed dining area not only enhances the complete dining experience but also speaks a lot about the taste of the homeowner. Country style dining table is the most important element of this space hence you should procure the right furniture to create a functional as well as the visually stunning looking room. Large dining tables are usually very expensive hence you can use various alternatives for creating an inviting space for dining. There are plenty of design options available at Homify. You can easily shortlist designs for renovating this space with perfect ease. From choosing appropriate lights to flooring materials, all the elements of this space should be chosen properly to build a gorgeous spot. What are the most important features of a country style dining space? A country style dining room should reflect elegance and luxury. 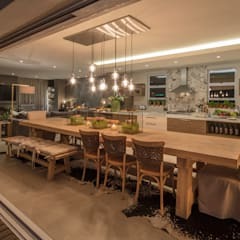 From an eat-in kitchen to sliding glass doors, from stone siding to a wine cellar, from wooden cupboards to spiral staircase, from French country furniture to gorgeous wallpapers, there are plenty of interesting features that could be incorporated for decorating your dining room. If you are building your house from scratch, you can tell the architect to design enough storage space for displaying a clutter-free space. Consulting an interior designer is recommended for procuring high-end products at a low price. 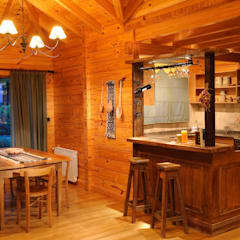 An expert who specializes in creating country style homes can guide you properly in procurement and installation. 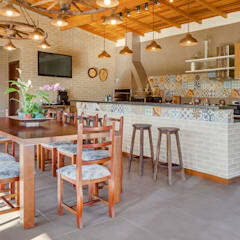 You can also install a TV in this space to enjoy your favorite sitcom while dining and spending time with your family. It's advisable not to clutter the space with too many accessories. In order to create a place for a great dining experience, you should procure high-quality products. It's very important to understand the space before you buy anything for this room. You should do a proper research on various designs or browse through Homify to get hundreds of innovative ideas. Understanding your space and knowing your budget is extremely important for attaining an ideal place for relaxation. You can use wooden floors for flaunting an exquisite space for visitors. You can also use marble or bamboos for attaining an aesthetically pleasing decor. Bamboo flooring exudes brilliance just like wooden floors. Bamboo flooring can easily give an eco-friendly touch to your house. Which wall colour should I choose? Choosing the appropriate shade for your dining space is very crucial. It's always advisable to select neutral colours for your walls like white, light blue or shades of grey. A country style dining room should not only exude class and sophistication but also illuminate the overall space properly. Neutral colours combined with natural light can easily brighten up the whole space with ease. It's extremely vital to maintain a steady theme throughout hence you should not divert from the colour schemes for displaying a stunning look. There are plenty of colour options available however it's always advisable to consult an interior designer before procurement. You can easily prevent making expensive mistakes by discussing with a skilled professional who specializes in country style decor. What flooring should I put in? 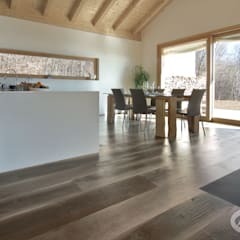 From laminate to stone flooring, from hardwood to tile flooring, there are plenty of flooring options available that could be easily incorporated in a country style dining space. You can take up wooden flooring if you want to exhibit a stylish appearance. Other eco-friendly flooring alternative includes bamboos. Bamboo flooring is one of the most trending options in flooring design. Bamboos are cheaper and available in various shades. You can easily display a stunning dining room by using this type flooring. 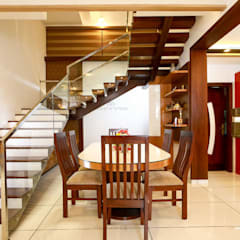 Bamboo flooring not only exudes beauty but also speaks a lot about the taste of the homeowner. 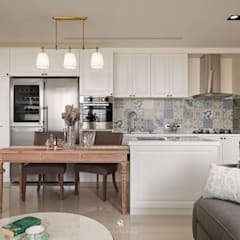 If you are building your house from scratch, you can tell the expert about your choices however if you are renovating, you can always hire an interior designer. 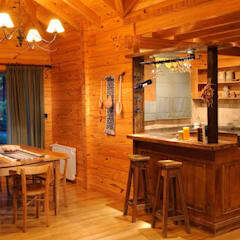 From procurement to installation, an expert can easily take all the pain of creating an inviting space for your house. Which is the best place to find country style dining room photos? 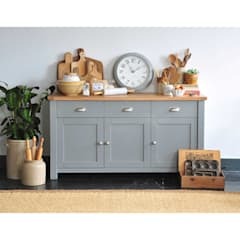 There are plenty of places to find stunning country style dining photos for ideas and inspiration but it’s always advisable to understand your needs before procuring products. You should also consider creating a design plan before procuring your products. Research plays an important role in designing interior spaces hence you should read various design magazines, visit restaurants and resorts and watch videos before creating your own blueprint. It’s always advisable to keep the photos with you in case you are hiring an interior decorator. Homify is the best place to find striking dining room photos. You can browse through the website and shortlist your designs from the comfort of your home. Homify showcases brilliant design options that can be incorporated easily into a limited budget. What to watch out for while buying country style dining room furniture? A great looking French dining table is the soul of a dining area. The whole décor of this space depends on the quality of the table and chairs however you should always consider measuring the area of this room for procuring the appropriate furnishings. You can have a large wooden table and chairs in the middle of the room for a grand appearance. In order to procure the right kind of furniture, you should always do research. There are plenty of stunning designs available online. Doing research will give you a fair idea about the shape and colour which will consequently help you to procure the right product. In order to decorate small dining rooms, you should use subtle colours like white, turquoise, light blue, shades of brown etc. Subtle colours offer the illusion of a bigger space. You can also flaunt a checkerboard tiling for floors. This type of floors easily makes your room look spacious. If you are building your house from scratch, you can tell the architect to create enough storage space inside the walls. At Homify, there are plenty of ideas available for designing small rooms. You can shortlist the designs and integrate your own ideas to decorate this room. You can also procure furniture which is small in size for creating a cozy environment. Understanding the space for the main sitting area is very important. 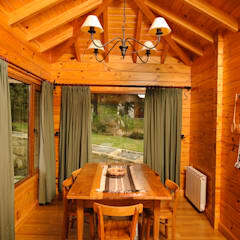 Most of the small houses use innovative ideas to showcase a grand interior. 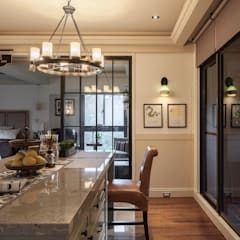 Usage of products like a chandelier for lighting in a small area can easily enhance the overall grandiosity of the room. Hiring an interior designer is highly recommended for achieving a clutter-free home décor.